This 3 bedroom, 2 bathroom home situated in the highly sought after suburb of Springbank rise and ticks so many boxes for a family that seeks to enter the Casey market . The dark grey tiled alfresco is complimented by a timber merbau deck with in-built feature lights and matching timber ceiling with hanging feature light. Clear plastic window furnishings will have you covered for outdoor entertaining even when it’s raining. A well-maintained garden extends from the alfresco and provides enough room for kids to play or family entertainment. The master bedroom is generous in size and offers a feature wall, an ensuite with neutral colour scheme and a walk in robe. All bedrooms are of comfortable size and have built in robes, thick roman blinds and easy to clean timber look laminate flooring which continues throughout the home. The laundry is of ample size with plenty storage. The Kitchen makes a striking impression with glossy black cabinetry, black glass splash back and black Stone bench top, perfectly complimented by stainless steel appliances. The living area which adjoins the kitchen is very tastefully designed with Timber-look laminate floors throughout. The facade has been tastefully designed in off white and Charcoal tones which accentuate the greenery in the garden bed. For further questions or to book a private viewing please call our sales team. 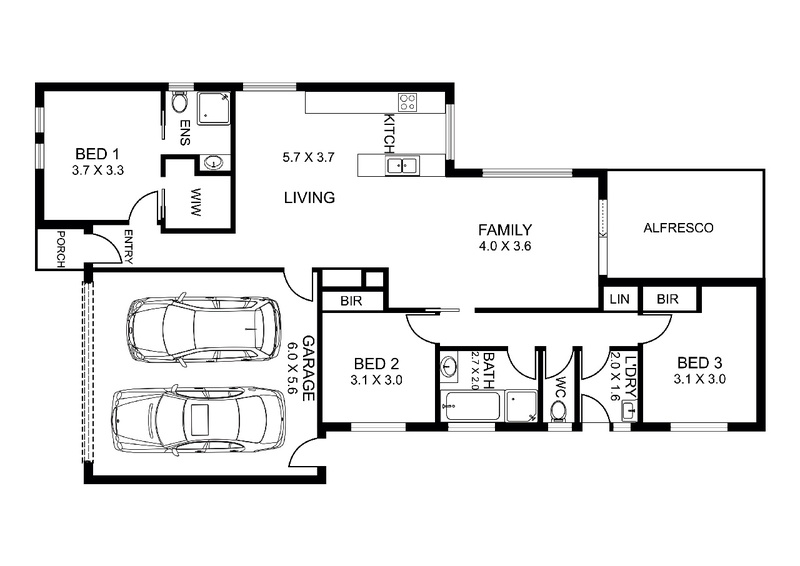 Living Area – 120m2 approx. Total under roofline – 171m2 approx.